Payton is currently a pharmacy student at the medicine hat college and has competed with the Panthers club for the last 3 years. 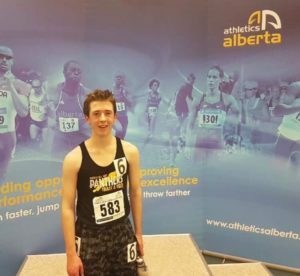 He became involved in track and field at Medicine Hat High School as a long distance runner and had the opportunity to compete at provincials twice for both cross country and track and field. He has previously been involved in other sports such as volleyball, basketball and badminton. Currently he continues to compete for the panthers as well as competing in triathlons and other distance competitions. He is very excited to continue to be involved in track through coaching and to have the opportunity to help other athletes grow and find the same joy in track and field that he has. Meet our new As sistant Coach – Lisa DIXON. Lisa is currently an Education student at the Medicine Hat College working towards a Bachelor of Education degree. This will be Lisa’s first season working with Panther athletes and she is excited to share her passion for training and physical literacy of the track and field sport. 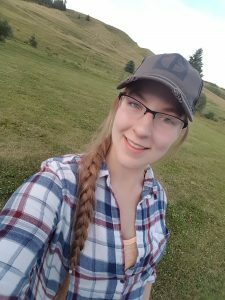 I’m currently a University of Lethbridge student working on getting a BSc in Biochemistry in hopes of pursuing a career in medicine. I compete for the university’s track and field team, where I run the 3000m and 1500m races. With current times of 9:06 and 4:09, respectively. 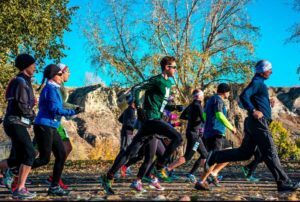 I began my passion for running at Medicine Hat High School in grade ten, where I began running cross country and track for the rest of my high school athletics. In grade 11 I found success in cross country finishing 6th at provincials. Afterwards I did not want to stop training in the off season, which is when I decided to join Panthers and have continued to train and find success through the club. During high school track and field, I competed in the 4x400m, 800m, 1500m, and 3000m. At provincials in grade 12 I placed 4th in both the 3000m and 800m, 3rd in the relay, and 2nd in the 1500m. Going on to receive male athlete of the year in grade 12 along with mvp for track and cross country both grade 11 and 12. In my free time I love to compete in fun runs such as the rattler run, moonlight run, water run, and conquer the ridge to name a few. I am very excited to share my passion of running with younger athletes and help them develop into the runners they aspire to be. Darren grew up in Brooks, Ab. As a family they went to many Southern Alberta Summer Games (SASG), camping and participating as a family. They competed in many family relays but the favourite was ball throw! Ball throw transitioned into Shot Put and Javelin. In Junior High he participated in the 100m, 200m, Shot Put, Javelin and Discus! In Grade 10, as part of a special track team, Darren switched his focus to the throwing events, then eventually solely on Javelin. In grade 10, he won the Alberta Championships with a throw just under 42m and earned the right to be part of Team Alberta. He competed Nationally in Sudbury, Ontario and attended a throws clinic. By the end of that summer he was throwing over 50 meters and had a pair of spiffy red javelin boots! In Grade 11, he was the ASAA Javelin champion and once again went on to win the Alberta Championship and participate in the National Competition in Banff, Ab. Darren completed his Ed. degree in 1996 and has now taught in three different school divisions, and in Medicine Hat for 20 years! He is currently a teacher at MHHS, coaches football, wrestling (both at an elementary and high school level) and Track throwing events. Darren coached the 2018 Indoor Winter session with the Panthers, introducing the athletes to throwing and strength training. He will be joining us at the outdoor track in the spring! Brent Friesen is an Inter-provincial Red Seal Journeyman Carpenter specializing in woodworking and finish carpentry and has been self-employed for almost 20 years. Brent played various sports in school but excelled at shot put and discus. 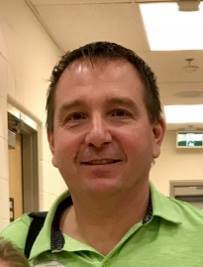 He won gold in shot put at the Saskatchewan Provincials for three years in a row in (1977-79) and advanced to the Saskatchewan Summer Games where we won gold in both shot put and discus events. The following year, he competed at the Canada Summer Games placing 5th as well as Nationals, placing 8th overall. 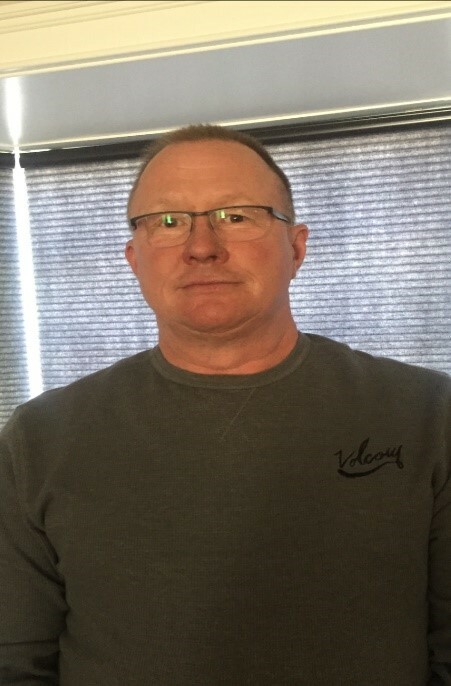 Brent enjoys coaching and has assisted and head-coached a variety of his twin sons’ minor sports in Medicine Hat including baseball, hockey, and football over the past 7 years. Brent enjoys all sports but still has a passion for track and field. Victoria is currently a Nursing student at the Medicine Hat college who had been a long-term athlete throughout junior high and high school. She has been involved with coaching a local wrestling team here in the city after competing for many years and is excited to now be coaching track and field. 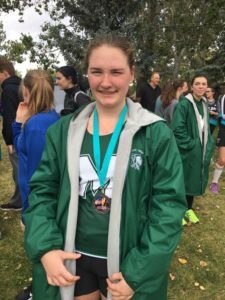 As a repeat provincial level high school athlete for all throws, she has experienced many different meets and competition through school and Alberta games experience where she has made many memories with great teammates. One of her most memorable events was competing in hammer throw which was a very new concept for her but after a few practices and competition it turned out to be a fun experience. She is looking forward to working with the throwers and working towards teaching the building blocks to be successful throwers. She is also looking forward to helping all athletes succeed by utilizing individual strengths and learning from mistakes and through practice. She has a heart for working with and alongside youth and encouraging healthy active lifestyles, she has been volunteering for many track meets here in the city and is working towards becoming an official. In her spare time she enjoys outdoor activities such as recreational sports or activities with friends, or volunteering for community events. 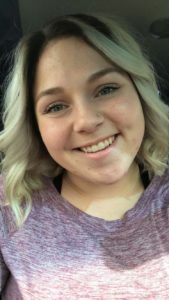 Cassie graduated in 2018 from Medicine Hat high school and is taking some additional classes while she plans her future. Cassie has been competing in track since grade 7. She’s completed in two provincials while in high school. Cassie is also a nationally ranked wrestler, a tremendous fastball player (and now a coach!) and has participated in other sports with a competitive spirit since she was a little kid. Cassie is very eager and excited to work with kids and teach them to throw!! I’m currently a University of Lethbridge student in pre-nursing. I am on the the track and field team competing as a weight thrower. I started track and field in grade 8 and I started out doing discus, long jump and shot put. Throughout high school I mainly focused on the distance events, running in the 3000m, 1500m, 4x400m and 800m. I have competed provincially for all of them including the 400m and 4x100m relay. Unfortunately I never competed in any throwing events at provincials but I have competed throwing discus, shot put, javelin as a Panther. I am currently learning how to do hammer and excited to compete in that event as well. I also ran cross country for Hat high, played basketball and wrestled, competing provincially in all of them. I am very excited to be able to coach Panthers as it has helped with my many successes as an athlete. I’m excited to watch and help younger athletes grow and achieve the goals they have set out for themselves. Kayla graduated from Medicine Hat High School in 2017 as a multi sport athlete with a specific love for track and field. She is currently a student athlete at the University of Saskatchewan enrolled in the college of Kinesiology while spending the rest of her time training with the varsity track team there. 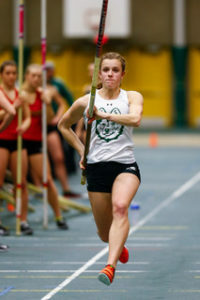 Kayla has a focus on pole vault at the university level, but trained in both hurdles and javelin in high school. Kayla’s love for track has continued to grow over the years and she is excited to share her passion for the sport with the Panther’s club.